and research covering dealer and salvage insurance auctions. Past and present vehicle auctions, historical prices, and research covering dealer and salvage insurance auctions. Looking for information on just one vehicle? We show you actual sold prices on used/salvage vehicles so you can find comparables and stop guessing what a vehicle is worth. Our proprietary algorithm distinguishes between Insurance Companies and Third Party sellers by looking at sales history, sale details, and analysis of photos so you never have to guess again. 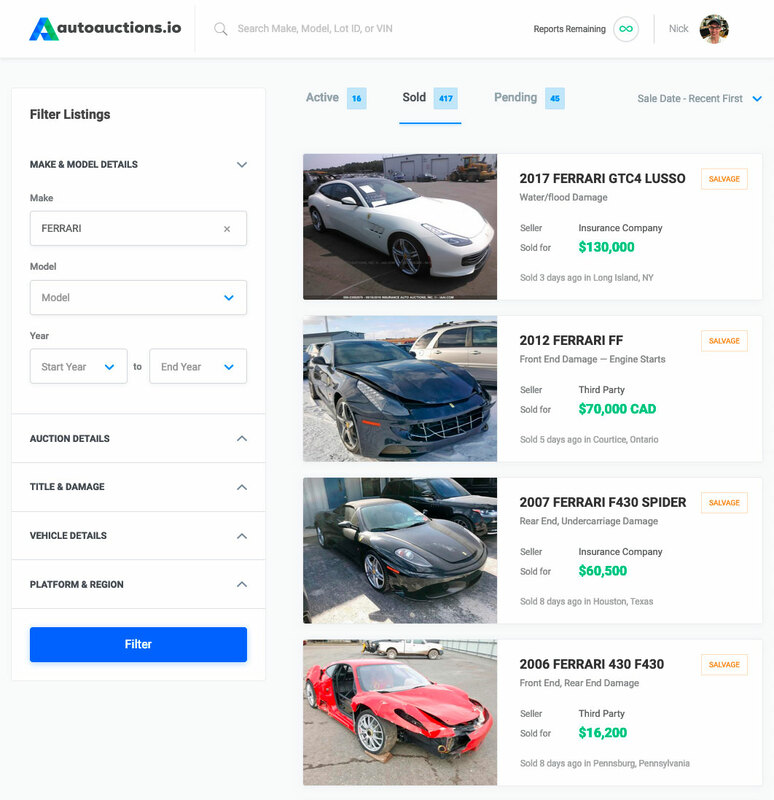 View previous auction results, see if vehicle appeared in other auctions, pull up a free VIN report, show archived vehicle photos, and more.